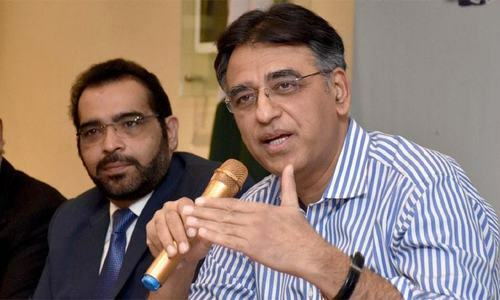 Finance Minister Asad Umar on Monday said an agreement will soon be reached with the International Monetary Fund (IMF). While speaking to journalists in Islamabad, Umar said Pakistan had not changed its stance in talks with the IMF. He added that the IMF had revised their stance and "the gap" between the IMF and Pakistan had decreased. On a related note, the finance minister said gas and electricity prices will increase gradually as subsidies are withdrawn, adding that the government subsidy on gas and electricity will not be withdrawn together. He also added that the new IMF mission chief is to arrive in Pakistan tomorrow (March 26) for an introductory visit. 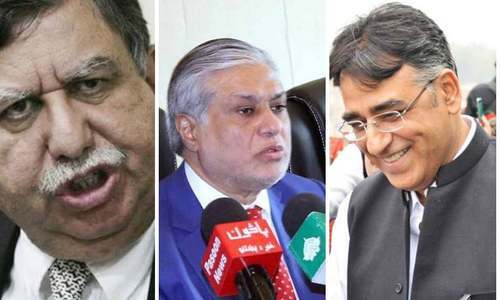 On March 16, Umar had hinted that bailout package talks with the IMF are in their final stages and the government will have further negotiations with the newly appointed IMF mission chief before reaching an agreement. "Pakistan has come closer to reaching an agreement with the IMF as the differences between Pakistan and the IMF over a possible bailout package have decreased," he had said. The finance minister had said that a deal would materialise only after a detailed discussion with the IMF mission chief. He made it clear that no final amount for the bailout package had been decided so far, as negotiations were still underway. I don't believe any of his statements. Some weeks ago he was stating that we don't need to go to IMF. The strategic person, will use this information for his benefit. IMF has asked Pakistan to devalue $ to 148-150 rps to $. Today it was trading it at 141. If you have extra Rps, enchashed it t oUS$ and then sell it in 4-5 months and make a profit of almost 15-20% within 3 months. Good for the economy, as this will bring Current account deficit down to manageable levels and boost FDI. With what price to the nation? It seems like Asad Umer will prove to be Ishaq Daar for the PTI government. IK needs to be careful. That's the proud U-turn the PM talks about.. So, according to Asad Umar, it is IMF that is bending to Pakistan, not the other way around. Thus it is IMF that needs Pakistan's business, and not Pakistan that is in dire need of IMF help! Contradicting statements every other day, NAYA Pakistan. New imf mission chief coming tomorrow for introductory meeting. So what exactly has happened in last 6 months. Very little chance of imf money coming in current financial year. Please talk less.and do more.. Action.not words. Oh ya, what does it mean to PAK people? Rupee will crash against dollar once again...!!!! It is time to invest in $ now, currency traders are making a killing. I have lost track of how many times they say we flip flop with the IMF. I think it’s about time PTI finds a new economic minister. Oh that is why the dollar rate is rising silently and gas prices are being increased by 147%. What a pity on Pakistan nation. Dont know how come PML n got iMF loans and still the dollar rate was kept at 100 and gas prices were also low. Is it that PTI needs competent person like Ishaq Daar to run economy where we witnessed lowest inflation, low dollar rate, highest stock exchange in Asia and much more? "While speaking to journalists in Islamabad, Umar said Pakistan had not changed its stance in talks with the IMF. He added that the IMF had revised their stance and "the gap" between the IMF and Pakistan had decreased." Asad Umar is implying that IMF is desperate to give a loan instead of the fact that Pakistan is desperate to get the loan. Why exactly would IMF revise its stance? @Tahir Raouf, "Preparing for another mini budget"
Too late for another mini budget. The annual budget will be made in late April/early May. It will reflect agreements made with IMF, assuming a common ground is reached. Asad Umar could have used the January mini budget for an incremental revenue effort but he chose to use it for giving subsidies to industry instead. All great news today by Dawn. Chinese 2.2 billion loan and now IMF loan. Great going. How soon? in next 5 years. Devaluing the rupee continuously amounts to falling into an economic black hole of no return to the normal situation! We will believe you when the agreements happen. Stop taking loans after loans...just got a loan from China and now finalising another loan from IMF....these loans are not cheap....do you have the capacity to pay the debt? Simple eye wash, this government has broken all records of taking external loans. Still waiting for $6B from IMF. We don't know the figures for internal loans. This finance minister is not suitable for this job. @aftab, No need. Pakistan rupee will depreciate further and may even reach 200 in medium term. So better to hold those Dollars. Has Asad kept track of borrowings and interest servicing ? He seems to be happy to announce borrowings ! The IMF is running low on mission chiefs. 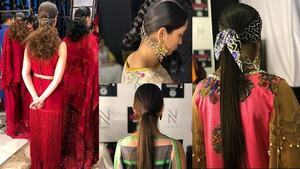 @Amir khan, nothing is in PMIK hands. IMF wants to see CPEC original contracts, whil2 China is not allowing Pakistan to reveal CPEC contracts to IMF. Odd Day - We don't need IMF. Even Day - We need IMF. The only plan seems to be put the burden of all these loans on the next government. What happend to the reform of FBR and increasing the tax net. Talk is cheap. If even final amount is not decided then how deal to be closed soon? Mr. Unarmed is saying same for many months and sometimes say no need for IMF loans. @Sab Se Pehle Pakistan, IK doesn't understand these things. He leaves it to the experience of ex government ministers. Asad Umer instead of borrowing money from all over the world; why not shutdown all money losing government entities like PIA etc. will show that you and Imran Khan cares about Pakistan and willing to take tough action to fix this country; it appears business as usual. IMF...here we come AGAIIINNNNN !!!!!! So much money is pouring in Pakistan from friendly countries then why Pakistan still need IMF loan. There is not a single big project going on in the country. Where is all the money going. Perhaps the last nail in poor peoples coffin. Here we go! PTI’a Genius is giving the breaking news! Loan from Saudi Arabia, UAE and now from China. And discussions with IMF are on track. How much money is being collected from foreign countries? We are told the first two are fixed deposits. The one from China can be used only for purchases from China. Any information on terms and conditions of all these loans? Our FM is just following a saying that “ A human mind has infinite capacity for self deception.” One has to realize that this bailout package, sought by the govt. 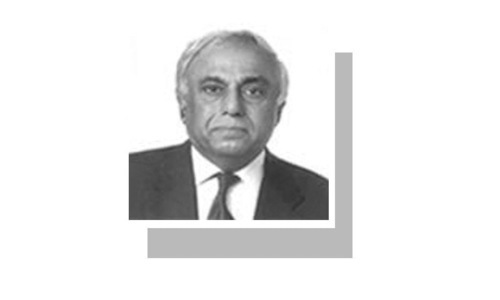 being above threshold limit of $2.35 billions for Pakistan, would carry IMF’s stated conditionalities such as structural & institutional reforms (cut in wasteful expenditures on white elephant such as PSM, PIA, Railways, WAPDA, gas companies & other 190 public owned money loosing concerns), free float of PKR, hike in gas/electricity prices & banking interest rates, tax reforms, cut in developement budget, & bringing fiscal & current account deficit from existing 7.5% to 5.5% of GDP. So poll promise of not going to IMF actually meant IMF is not going to pay anything. The gap has reduced so much that new IMF chief is coming for “introductory” meeting.